Siemens implemented a 952 kWp photovoltaic system, a battery storage system with an output of up to 660 kW and a generator power plant with a total output of 1625 kW. 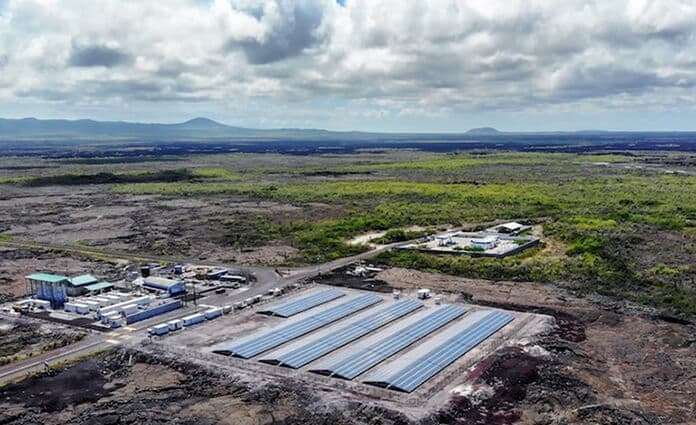 “We are proud to contribute to the protection of the Galapagos Islands with our climate-neutral technology,” said John Kovach, head of Distributed Energy Systems at Siemens. “We have delivered the first local energy system of its kind, enabling our customer to achieve important long-term environmental goals.” The system is remotely monitored by the Siemens-Mindsphere Application Centers in Munich and Austin, Texas, for effective on-site service. The contract for the project was awarded by the Ministry of Electricity and Renewable Energy of Ecuador (MEER). The Kreditanstalt für Wiederaufbau (KfW) supported the project financially and Lahmeyer International acted as project consultant. The plant is operated by the local energy supplier Elecgalapagos. The energy landscape of the Galapagos Islands is currently threatened by an unstable, CO2-intensive supply, which is largely based on the generation of electricity from thermal energy. 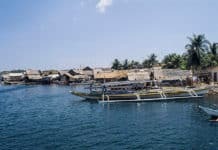 In view of its status as a UNESCO World Heritage Site, the Ecuadorian government’s “Zero Fossil Fuels on the Galapagos Islands” programme aims to convert the archipelago’s energy supply completely to renewable energies. This policy focuses on more efficient energy consumption, the use of wind and solar energy and the replacement of fossil fuels with pure vegetable oils. It is planned to use the oil of the native plant Jatropha Curcas as biofuel, which will be provided by domestic production on the mainland.